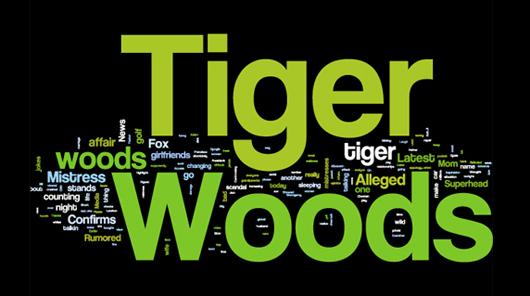 Word on the Web Social Brand Snapshot provides a visualised cross section of current blogs, tweets and social mentions of Tiger Woods, providing an instant view of current brand sentiment. David Ansett, Brandamentalist. Brand Agency & Graphic Design Melbourne.